Wish you could avoid airport queues, tedious transfers and long drives? Want to travel enjoyably by train instead - to fantastic accommodation in the best ski resorts in the Alps? Snowcarbon is an independent information site set up by ski journalist Daniel Elkan to help you do exactly that. 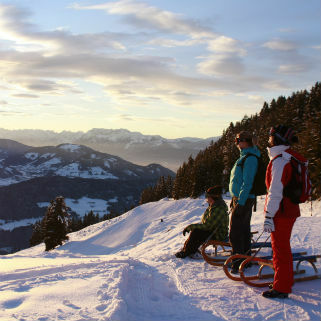 Check out great ski resorts and recommended journey schedules. Insider tips and advice on getting the best-value tickets for travel to the Alps. View and book good-value ski packages with rail-travel included. 10 or more in your party? Find out about discounts for groups of 10 or more and how you can book in advance. 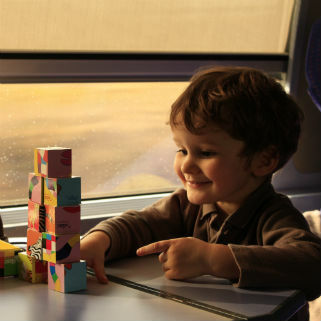 The trains, what they’re like on board, and guides to rail travel to the Alps. Snowcarbon's new film about the Eurostar Ski Train experience - as told by skiers and boarders. Welcome to Snowcarbon! 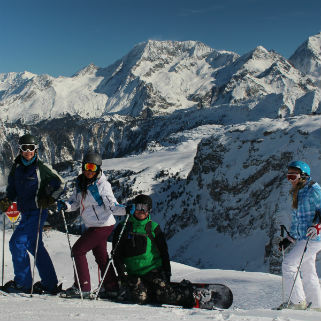 Here's a quick guide to how we can help you make the journey part of the ski holiday. In the resorts and journey planner section, you can view recommended journey schedules for travel from the UK to 32 great ski resorts in the Alps, using our unique Journey Planner, based on a unique database of hand-researched journeys. Every single train ride in the journey planner we've travelled on, photographed, and described for you. And you can also read reviews of these journeys by other skiers on the Your Stories section - and contribute your own. For each ski resort you can see in independent, multi section resort review written by our leading ski writers. And for each resort we'll show you the best options for booking independent travel and rail-inclusive ski packages where available too. You can also ask Snowcarbon co-founder Daniel for recommendations on great resorts, lovely journeys and fantastic accommodation providers to help create your ideal ski holiday. Just email Daniel and he'll be happy to help. You can use the train guides for an an overview of the different travel options to ski resorts and see exactly what trains are like on board. We'll also show you insider tips, such as on how to book the lowest fares, the best options for travelling overnight, tips and discounts for travelling with children, an in-depth guide on how to change station in Paris easily, and more. The rail-inclusive ski packages section is a unique resource for finding ski holidays from a variety of ski tour operators with rail travel (and transfers) included - which make them easy to book - and good value. We'd love to know what you think of the site, and any ways you think we could improve it. So please feel free to drop us a line with your thoughts or questions. For suggestions and advice on fantastic ski resorts, excellent accommodation and suitable train-travel options, just contact ski writer and Snowcarbon co-founder, Daniel. Like to be the first to know? You’ll get these directly from Daniel Elkan, Snowcarbon's founder. You can unsubscribe at any time (Daniel won’t cry) and we will never share your email address with anyone. 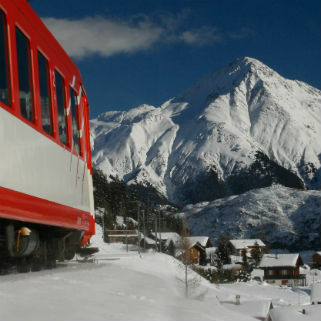 Would you like a ski holiday by train - tailor made for you? Snowcarbon founder, Daniel, can help.